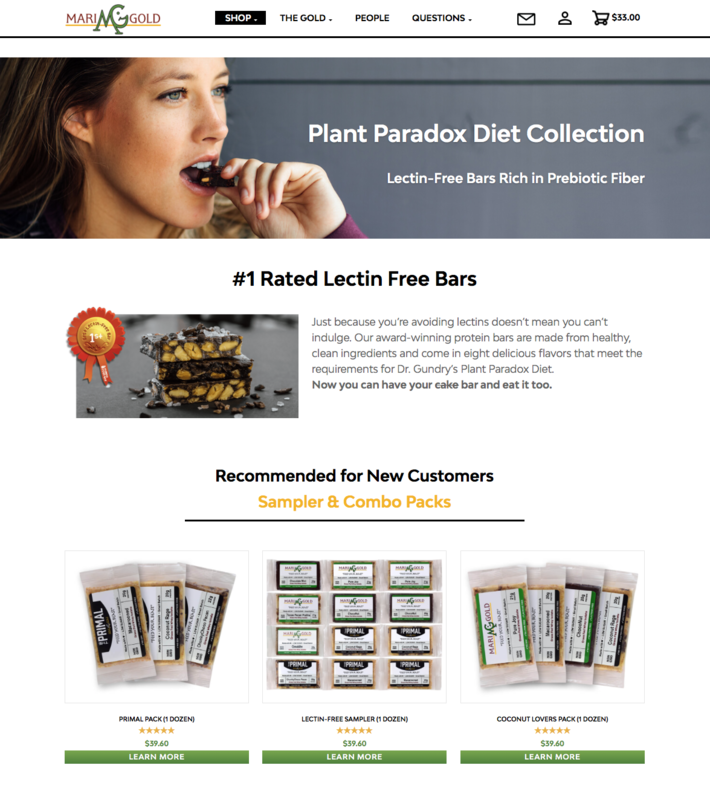 In Q2 of 2018, I identified an emerging market for specialty energy bars and launched Human Food Bar, a product reviews website targeting the niche. In a few short months, I grew the site from less than 200 unique visitors per week to over 25,000. I did it through SEO, organic and paid social, various prospecting and retargeting digital ad campaigns, and viral content. The site is being monetized through affiliate deals. SEO: Identified key phrases for in-market consumers and created unique, sticky, SEO-friendly content around the keywords. 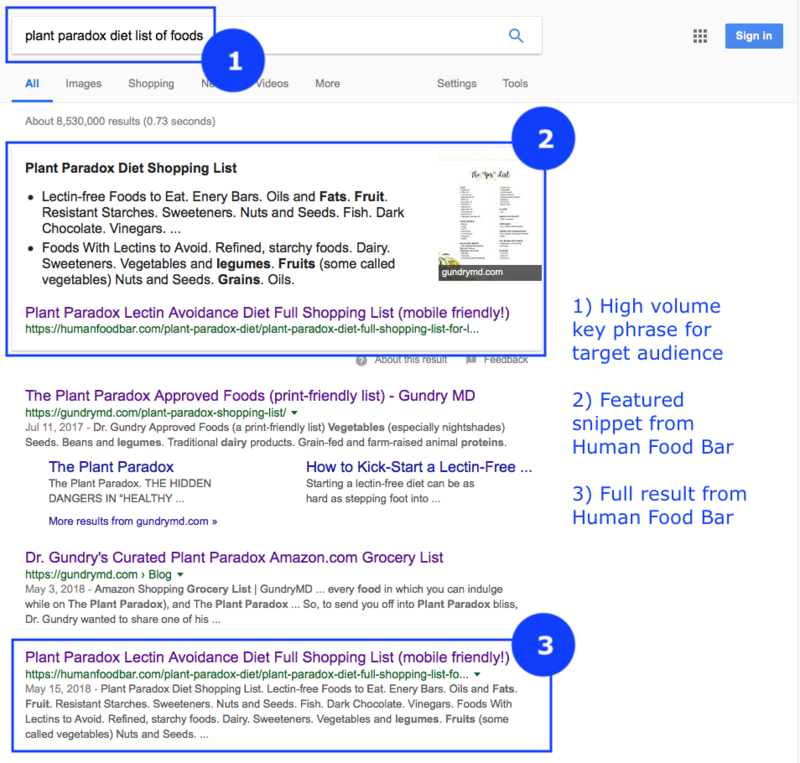 Multiple landing pages rank first on page 1 of Google’s SERPs for my top key phrases, included 8 Featured Snippets. 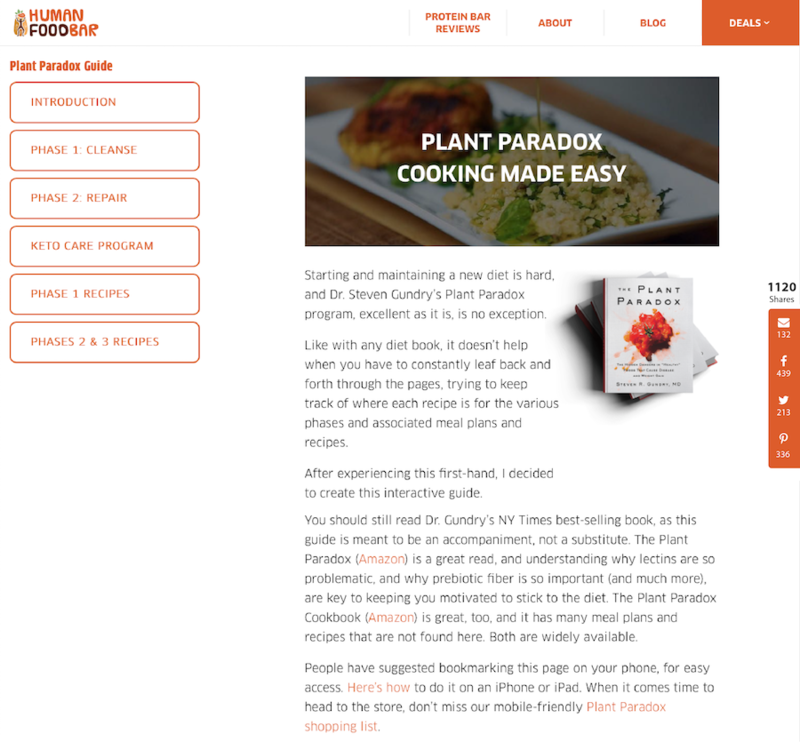 Rich Content: I created an interactive compilation of Dr. Gundry’s Plant Paradox Recipes and it went viral on Facebook and Pinterest. The result was a 5x spike in traffic that was sustained for several days and permanently lifted social traffic. Digital Ads: Prospecting and retargeting campaigns are running on Google Ads, GDN Retargeting, AdRoll, and Facebook. They are tracked to conversion goals in Google Analytics and optimized accordingly. Conversion Rate Optimization: From content to page layout to messaging, the site nudges the visitor towards clicking on affiliate links. Robustly tested conversion paths exist on nearly every page of the site, so no matter where the user enters they’ll find their way into the purchase funnel. Landing Page Optimization: I worked with my advertising partner to create a custom landing page. We installed Google Optimize and ran various A/B tests, including messaging, creative and CTA copy. 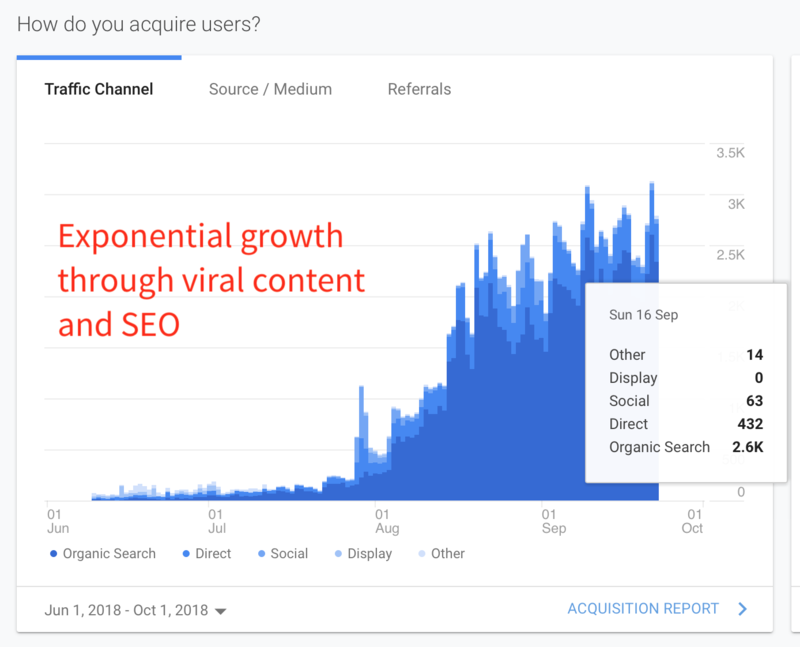 Organic traffic has grown exponentially, with 2500 daily unique visitors.